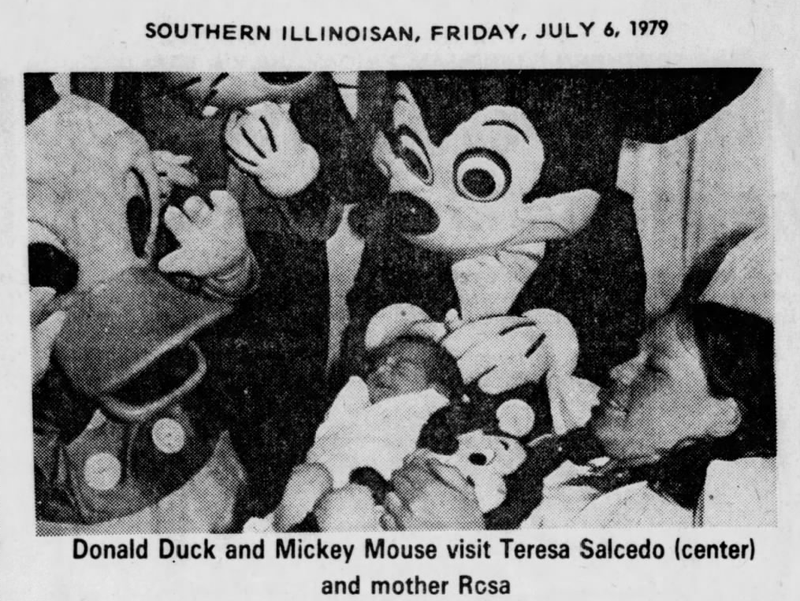 On July 4, 1979 little Teresa Salcedo was the first baby born in Disneyland at California. But contrary to urban legend, she didn’t get a lifetime pass to the Happiest Place on Earth. It’s a surprisingly popular misconception that any baby born in a Disney Park gets a lifetime pass. But it’s completely untrue. And it’s a rumor that the Walt Disney Company would probably like to go away. If only because the park has reportedly seen women rush toward Disneyland as they’re going into labor as a way to get their babies this sweet (non-existent) deal. In another case a woman who was in labor came TO Disneyland and actually hid in a bathroom and her husband came to first aid to tell them that his wife was in the bathroom in labor. She would not come out because she had heard that you get a lifetime passport if your baby is born at Disneyland. Once they assured her that she would not be receiving a lifetime passport she came out and accepted the ambulance ride to Western Medical Center where her baby was born shortly thereafter. Baby Teresa may not have gotten a lifetime pass (some insist she did, but that it was kept secret to discourage people from trying it), though she did get a visit from Mickey Mouse, Donald Duck, and Goofy in the hospital. They presented her with “Disneyland Birth Certificate No. 1” which in retrospect the company probably regretted as well. As far as we know, there have been just four babies born on Disneyland property in total. After Teresa in 1979, who was born on a bench near the entrance, there was a baby born in 1984 at a Disneyland First Aid station, and another in 2002 in a back room office. The most recent was in 2012 when a baby was born in one of Disneyland’s parking lots. All four babies born at Disneyland have been girls. So I guess if you’re expecting a boy and want to break new ground, head on over to Space Mountain. Just don’t expect Little Johnny to get a lifetime pass.